As much as we enjoy tracking down unusual ingredients and experimenting with new flavors, sometimes simple is best. 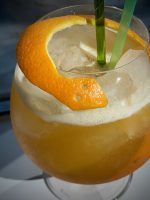 Basic recipes with common ingredients that are worthwhile are often found in old cocktail books, but easy drinks are still being invented in the modern era. The Vieux Mot is a newer cocktail whose name translates directly to “old word” and means an old, witty saying. Back in 2007, Cooper Spirits launched St-Germain, the much-loved elderflower liqueur that would quickly make its way onto every craft cocktail menu in the world. If you haven’t had the pleasure, grab a bottle and you will quickly understand why. 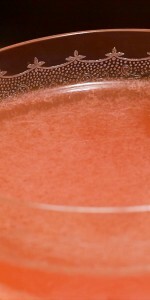 Yet, with all of the experimenting that went on, many of the resulting cocktails were similar in flavor since the wonderful elixir can easily dominate. Because of this, we tend pass over our bottle more often than we should. Today, we are going to share a great way to enjoy it again. Add ingredients to a shaker with ice and shake to chill. 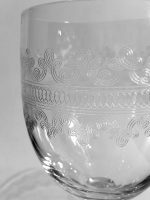 Strain into a chilled cocktail coupe and serve. This drink comes by way of the PDT cocktail bar in New York. In 2007, its inventor, Don Lee, chose to use Plymouth gin, and that’s how it appears in the PDT Cocktail Book. You can use another brand, but what you choose makes all the difference. We used a local favorite from Freeland Spirits with absolutely wonderful results. The St-Germain is unmistakable, but we are also tasting mint, and maybe even apricot! Gin alchemy cannot be explained, but know that you will have amazing, complex results that can showcase some very interesting flavors depending on the distiller’s choice of botanicals. Combined with the already magic-like effects imbued by the liqueur, this cocktail has nuances that vodka simply cannot touch. If there is anything to complain about, a common criticism of the Vieux Mot over the years has been that it can be too sweet. With a combined ounce of 1:1 simple syrup and liqueur to balance three-quarters that amount of lemon, it is a fair argument, but easily adjusted. Palates change, lemon acidity varies, and so does individual preference. 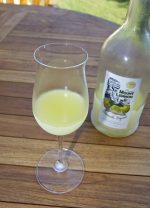 You can cut back to a quarter ounce of simple syrup if you like a result that is maybe more tart than sweet, but this is a very drinkable cocktail any way you slice it. We kept the original proportions and will do so again as we are tempted to try it with every gin brand in the cabinet, knowing each will produce a slightly different, yet equally delicious result!